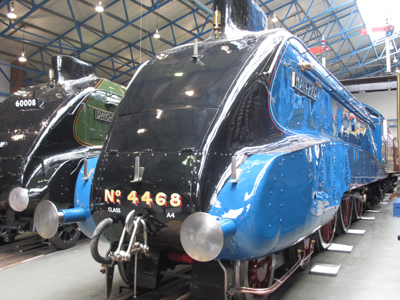 TSA’s 33rd Annual General Meeting was held yesterday, in the spacious and sensational surroundings of the National Railway Museum in York. 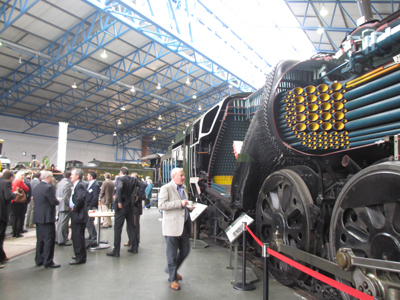 Members gathered on the Balcony overlooking the vast array of engines and carriages, enjoying a coffee and Danish pastry before the meeting began. The AGM was completed fairly quickly, under the chairmanship of Graham Mills of Technics Group. Graham continues as TSA President, with Stuart Dimond of MK Surveys as the new Vice-President. Huge thanks go to John Witherden of Aworth Land Surveys who has been an excellent VP for TSA for the last five years. John continues on Council and the full list for 2013 can be found on the ‘About Us’ page. 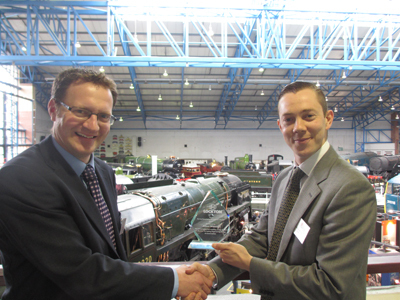 Andrew Evans from Topcon, Alison’s main sponsor, accepted the award on her behalf. One of the supreme and unmatched benefits of TSA Membership is the opportunity to discuss issues, concerns and new ideas openly and honestly. Members enjoyed a 75-minute session discussing topics such as education, recruitment, low fees and licensing. Some new suggestions and approaches to all of these things were noted by Council. A magnificent buffet spread was then provided, down in the Great Hall and surrounded by breathtaking examples of engineering and motion. Enough time was built in to allow members to explore the museum. To TSA Members who missed out, don’t worry – we are already busy planning a great programme for the Discussion Group meeting on 30th October at the Imperial War Museum at Duxford. If you are not yet a Member, then why not ask for an Application Form today so you can join us?